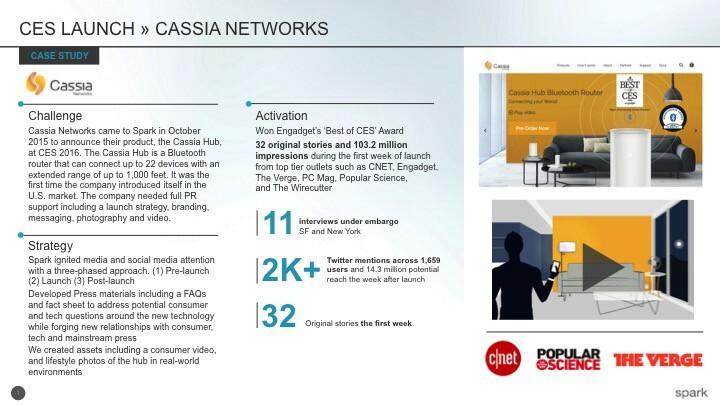 Cassia Networks came to Sparkpr in October 2015 to announce their product, the Cassia Hub, at CES 2016. 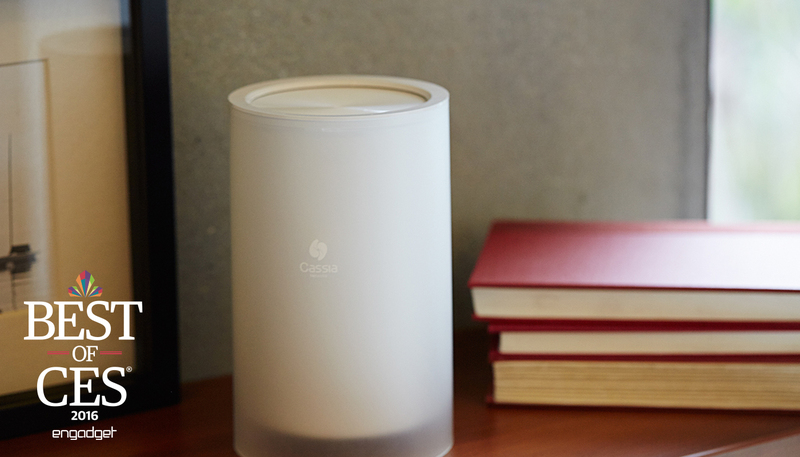 The Cassia Hub is a Bluetooth router that can connect up to 22 devices with an extended range of up to 1,000 feet. It was the first time the company introduced itself in the U.S. market. The company needed a fully integrated marketing campaign, including PR support, a launch strategy, branding, messaging, and creative assets such as photography and video. · Spark ignited media and social media attention with a three-phased approach. (1) Pre-launch (2) Launch (3) Post-launch. · Developed Press materials including a FAQs and fact sheet to address potential consumer and tech questions around the new technology while forging new relationships with consumer, tech and mainstream press. 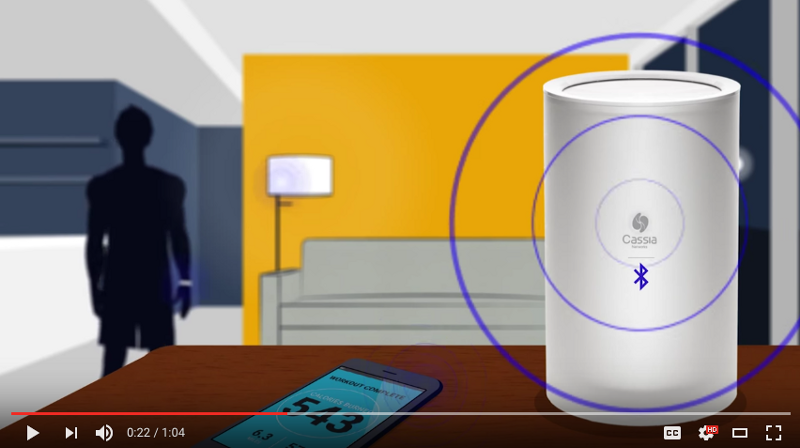 · We created assets including a consumer video, and lifestyle photos of the hub in real-world environments. 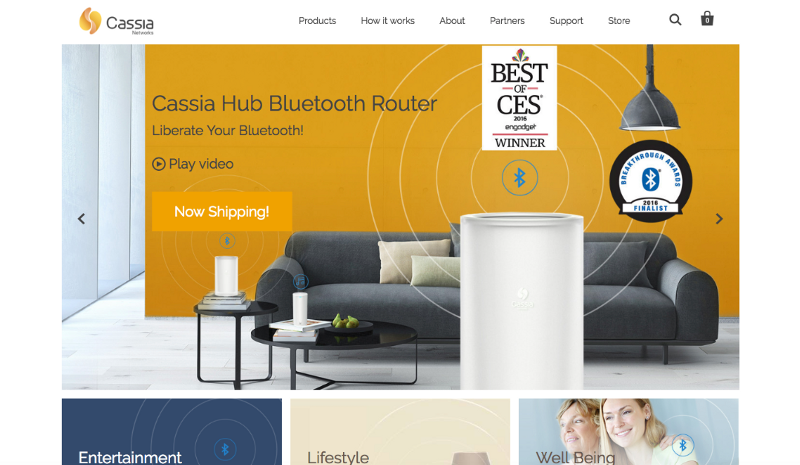 · Won Engadget’s ‘Best of CES’ Award. · 32 original stories and 103.2 million impressions during the first week of launch from top tier outlets such as CNET, Engadget, The Verge, PC Mag, Popular Science, and more. · 11 interviews under embargo in SF and New York. · 2K+ Twitter mentions across 1,659 users and 14.3 million potential reach the week after launch. · 32 original stories the first week. · Won Best New Product Launch from Bulldog Reporter.